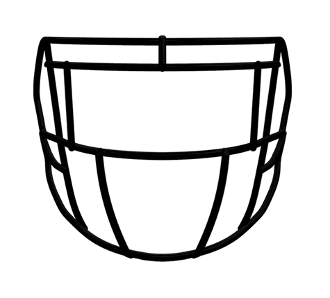 Anyone looking for an all-purpose facemask will love the Riddell Revolution Speed All-Purpose Facemask S2EG-SW-SP. Engineered from steel, the S2EG-SW-SP will endure even the hardest hits and its open design keeps your vision free from obstruction. This combination of strength and openness lets you keep your focus on the field, freeing you to reach your full potential at any position.